Why does my skin get tight, dry and sensitive? If your skin is feeling dry, tight and irritated, there is one underlying cause to all of this. Your skin’s protective moisture barrier is damaged, and simply layering on a rich moisturizer isn’t going to fix it. Chances are, you are doing something day in and day out that is causing your skin to get damaged, and the moment you take out the culprit, your skin’s barrier can naturally repair itself. In this post, I’ll explain what exactly your skin barrier is, what might be causing it to get damaged, and some easy ways to fix it so you can get back to having moist, supple and healthy-looking skin with less tightness, dryness, and sensitivity. What is a moisture barrier in the skin? Your barrier is the outermost layer of the skin that provides protection to help retain water and moisture, and defend against external irritants like bacteria and environmental debris from penetrating through and causing sensitive reactions. (Think of it as your skin’s own bodyguard to keep the good in and the bad out.) The barrier is made up of lipids (oils) that bind your skin cells together, and when it’s intact, it’s responsible for keeping it feeling soft, and acting calm and healthy. An example of a perfectly intact moisture barrier can be found on a baby. Plump, smooth, radiant and soft to the touch. What happens when a moisture barrier gets damaged? When the skin’s protective barrier gets damaged, it creates small, invisible cracks in the skin. Through these cracks, moisture can easily escape and irritants can enter more easily. Essentially, your skin lost its protective bodyguard and can get tight, dry and sensitive. How do I know if my skin barrier is damaged? 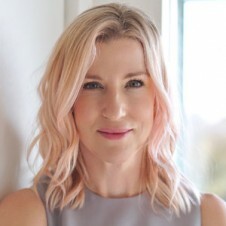 As an esthetician with 30 years of hands-on experience working with clients and their skincare concerns, now more than ever, I’m seeing that almost every skin problem can be traced back to an impaired skin barrier. Not a day goes by that I’m not giving a diagnosis of a damaged moisture barrier as the underlying cause of someone’s skin issues. Dehydration (from lack of water). Read the difference between dry and dehydrated skin. If you have any or all of these symptoms, no matter what your age, this might be a sign that your moisture barrier has been compromised and is in desperate need of fixing. Note: Sometimes a damaged moisture barrier can just appear on the nose and cause only this area to get dry and flaky. Read more. What causes a moisture barrier to get damaged? If I know my barrier has been damaged, have I done permanent damage? Can I repair it? If you’re someone who has just been over-doing it with too many exfoliating products for a short period of time, you haven’t done permanent damage and it can easily be fixed. However, for those with years and years of using harsh products and exfoliating too often along with excessive smoking, alcohol consumption and unprotected sun exposure, yes, some damage has occurred. The good news is that it’s never too late to get the skin back into a healthy place, and if you’re making positive changes, you will most definitely see a big improvement. Read on! How can I fix a damaged moisture barrier? Treat your skin like you would a baby’s skin. If you know your skin is acting unusually sensitive or just not feeling healthy, a good mindset to have when fixing a moisture barrier to lessen tight, dry and sensitive skin, is to treat your skin like you would a baby’s skin. This means keeping everything really simple and gentle until it gets repaired. Here are some ways to do that. Cut back on your exfoliation. With the increase in popularity of products intended to remove surface dead skin cell build-up, many people are using exfoliating products on a daily basis. It’s important to know that this is one of the BIGGEST contributors to damaging your skin and barrier. When you exfoliate too often, you’re stripping off your skin’s protective barrier which guarantees that moisture will escape. This will set off an inflammation cascade which not only leads to the skin feeling tight and dry, but will also contribute to your skin aging faster. Not good! 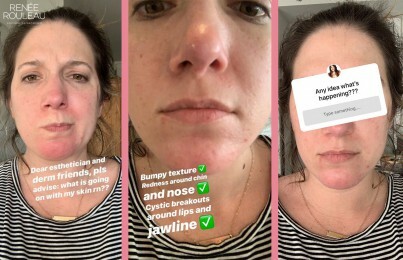 When you are trying to fix your barrier to get it back to a healthy place, I recommend stopping all of your exfoliating products for two weeks and then slowly work back into them once the skin feels repaired. 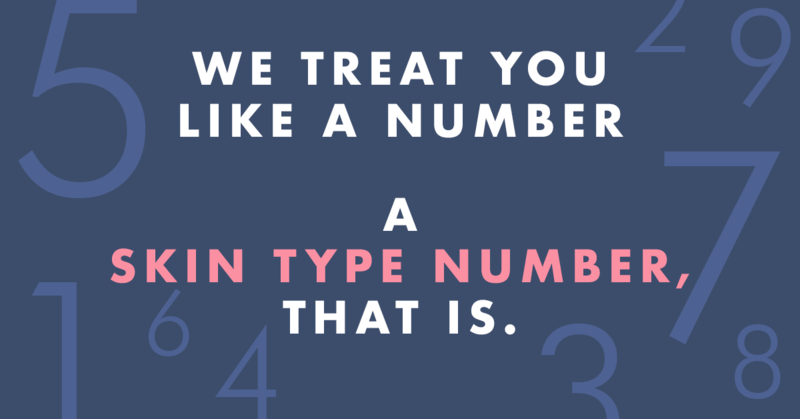 When you do introduce them back into your routine, they should not be used daily, but instead, four to five times a week depending on your skin type. To learn the safest way to exfoliate your skin without causing damage to the barrier, read the beginner’s guide to exfoliants. If you are using a prescription retinoid, this will always be breaking down your skin’s barrier due to the nature of how the product works. While I don’t suggest that anyone go off of it, mainly because it’s so amazing in getting the skin to look and act younger, I do have some great recommendations for the best way to use it to lessen the dryness. Read the beginner’s guide to retinol and prescription retinoids. Note: A lot of people don’t exfoliate at all around the eyes and you really should be. Read why here. Avoid washing your skin with hot water. When the water temperature is turned up too high, it will instantly dilate the capillaries and raise the skin’s internal temperature. When this heat has been created, it can impair your skin’s barrier. It’s best to use lukewarm water—especially in the winter when the barrier is most fragile. Sunscreen is known as the ultimate product for defending your skin from the worst environmental damager—the sun. UV rays given off by the sun will certainly contribute to damaging your barrier. Daily Protection SPF 30 is the one I use and recommend to my clients. Not a day goes by that I’m not explaining how important it is to wash with a gentle cleanser—especially if your skin is feeling tight, dry and irritated. When fixing a damaged moisture barrier, you’ll want to change from a foaming cleanser (even if it’s gentle and sulfate-free) to a cleansing lotion as it’s milder. Recommended cleanser: Vitamin-Infused Cleansing Emulsion. Read my cleanser do’s and don’ts to learn how to cleanse your skin safely to not disrupt your skin’s barrier. Avoid skincare products that are highly fragranced and use synthetic fragrances. With all the awareness about synthetic perfumes causing unnecessary irritation, it still amazes me that companies continue to use them. Note: Speaking of essential oils, high amounts of any type of natural essential oil can be irritating to the skin. I do use essential oils in many of my skincare products but in low percentages. Sometimes they are used to deliver a certain benefit and other times it’s simply to mask another ingredient that doesn’t smell very pleasant. Moisturizers will most certainly be beneficial for repairing your skin’s moisture barrier when it’s damaged, but it’s important that you look for specific ingredients that mimic the natural lipids found in your skin. Just because a moisturizer feels rich and greasy on the skin doesn’t necessarily mean that it will offer repair. Note: You might be looking at some of the above ingredients and be thinking that a heavy, greasy moisturizer is what is needed. This is NOT the case at all. A moisturizer can use these ingredients in a lightweight formula without clogging the pores. It all simply depends on the percentages used and the oil to water ratio within the formula. For example, Sheer Moisture Lotion is excellent for repairing the barrier for those with oily, combination and breakout-prone skin, yet it’s very lightweight. On the other hand, for dry skin types, you will get benefit from something richer like Phytolipid Comfort Creme. If you’re looking for something more in the middle, not too heavy but not too light, Hydraboost Rescue Creme is perfect. It’s always best to use products exclusively for your skin type. You can take the Skin Type Quiz to get the best products recommended for optimum skin health. Deeply infuse hydration (water) in your skin with this trick. All types of skin need both water and oil but particularly when you are trying to fix your skin’s protective barrier, deeply permeating the cell membrane is most beneficial. After washing your face with a gentle, sulfate-free cleanser, apply a generous amount of Moisture Infusion Toner to a thin Toning Cloth and wipe it over the face. Next, pour an amount the size of a quarter of the essence/toner into the palm of one hand. Using the fingertips of your other hand, start patting the product onto the entire face. Repeat until all the product is gone from the palm of your hand. Repeat this two more times so you are applying three layers in total to your face. The skin should feel very cool and plump as it will now be fully saturated with water. Next, you’ll want to apply a serum followed by a moisturizer for your skin type. These will now provide excellent protection to keep all of the water sealed deep into the skin. Note: Like with any alcohol-free toner used after cleansing, you always want to leave it damp on the skin before applying your next product to seal in the hydrating benefits. You never want to let a toner dry out while on the skin. Start using a moisturizing skin oil, but make sure to use it the right way. Whenever my clients are in need of some serious repair to their skin’s moisture barrier, I always recommend using a well-formulated skin oil like Pro Remedy Oil over moisturizer as the last step in your routine at night. This will provide a much-needed protective seal so everything underneath is less likely to evaporate out of the skin’s surface—especially in winter. However, many people are using skin oils incorrectly. Read how to use them correctly. This one is really easy (and SO important!) if you just take the time to do it. When you are trying to fix your skin’s barrier, you want to avoid anything that makes your skin sting or leaves it feeling tight, dry or irritated. 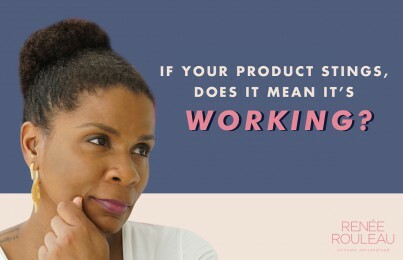 Many people have fallen into the mindset of “it’s stinging so it must be working.” Sound familiar? While some products can make the skin tingle (exfoliating acids in particular), it’s important that you examine whether or not this sensation is normal. When your moisture barrier is compromised, it will make things that normally wouldn’t sting cause an irritating sensation. The idea here is that you really want to pay attention to some products you might be using that are causing unnecessary irritation. Pay extra special attention when flying on an airplane. 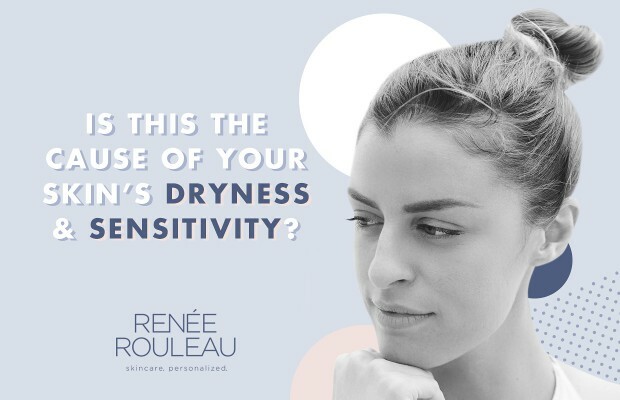 I fly a lot, so I know all too well what the drying effects can do to the skin’s moisture barrier. Read how to save your skin from airplane dryness. How long does it take to fix the barrier? With all of that being said (and I know it was a lot! ), there have been many incredible advancements in skincare in the last twenty years and there really is no reason why anyone should be suffering from tight, dry and irritated skin in this day and age. It’s truly an easy fix and if you use the right combination of products for your skin type, it shouldn’t revert back to an unhealthy state. You need to be very mindful of not overdoing it because I am here to tell you, a lot of the time, you have complete control over how your skin acts. I hope you found this post helpful and that your skin will soon get back to looking smoother, calmer and beautifully hydrated. The way Mother Nature intended. #ReneeRouleauGLOW. Do you need additional help with your skin? Schedule a virtual consultation with a licensed esthetician who can help get your skin back on track and recommend the perfect skincare routine. If the skin on your body is dry, itchy and flaky, your moisture barrier is damaged, too. Read 8 tips to help relieve dry skin on the body. Can you suggest how to repair the barrier function on the body? I struggle with eczema and while I do sometimes get it on my face, it’s rare. But I frequently get random patches on my body, and itchy arms and legs, and right now my hands are a mess. I wear thick blue rubbery gloves when I’m washing dishes, and I’m careful not to use water that’s too hot when I’m bathing or washing my face. I use hand cream regularly (right now it’s by Andalou Naturals or Weleda). I’m afraid periodically when I wake up in the morning my hands get intensely itchy and I can’t help but rub them furiously which causes them to get puffy and thick and start to crack, and with red patches. I don’t know what causes them to itch first thing in the morning (they sometimes will itch later in the day as well). Any information or suggestions would be greatly appreciated. Hi! 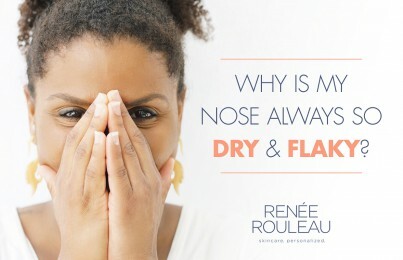 Read this blog post about repairing dry, itchy skin on the body: https://blog.reneerouleau.com/8-tips-cure-dry-itchy-skin-body/. Hope this provides you some helpful information!